It’s time to learn how to make the great iced teas that you may drink all day long without the fear of ingesting too much sugar. So read on to find a few ideas that could make your tea not only more interesting, but stay healthy all the same. In this issue we will also introduce you to a new herbal tea and remember a great favorite amongst detox teas. 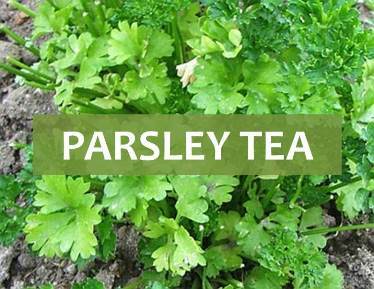 This herbal tea is a wonderful cleansing infusion made from an herb that is found in most kitchens around the world: parsley. This essential seasoning herb can also be infused to make an incredibly healing detox tea. As this was one of the first herbal teas on our website, it was time to update it adding new information about this tea’s benefits and better instructions on how to brew it. How to Make Iced Teas Fun and Healthy! 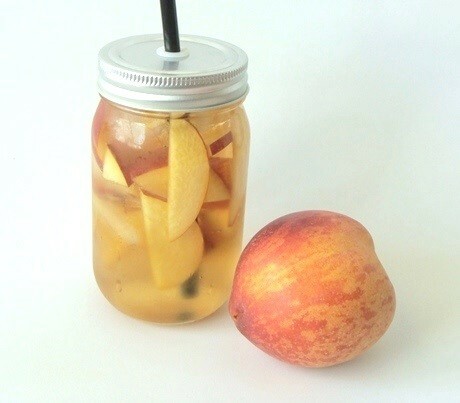 We are just a few days away from summer, so let’s celebrate the arrival of warm and sunny days with a look at a few ideas on how to make iced teas fun! Not all of us enjoy drinking water in the amounts that are advised by the doctors - current recommendations point to about 2 liters per day. So drinking iced teas is a great way to do achieve your goals and stay properly hydrated. Iced teas are also flavorful and provide a great deal of benefits, but because they tend to have too much sugar, not many of us may or enjoy drinking them. How to make your iced teas fun and tasty and still remain healthy? Healthier than sugar, honey or maple syrup may be a way for you to sweeten your iced tea. Both have a nutritional value that could benefit your health. Read about the health benefits of honey: HERE. However, these sweeteners should be consumed in moderation. 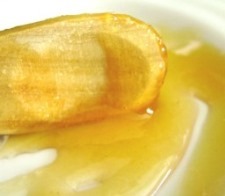 Although maple syrup is considered healthier than white table sugar, it still contains about a generous amount sugar. Stevia and licorice are herbs that contain natural sweetening flavors. Stevia in particular is currently being used to produce light beverages without resorting to artificial sweeteners. Why resort to flavored teas when you can make your own and at the same time no longer need added sugars? Brew a pitcher of black or green iced tea and then add pureed or chopped fruits to add delicious flavors and natural sweetness to your teas. A few good examples of fruits for you to try are: strawberries, raspberries, apple, peach or mango. Adding fragrant herbs to your iced teas as it brews will enhance its flavor and add benefits to your regular iced tea. Do away with sugar, natural or artificial, as the solution to enhance the flavor of your tea. Lavender and roses are great herbs to give your tea a floral profile. Peppermint and spearmint will add freshness unlike any other herb. Mints are ideal for any iced tea recipe in the heat of summer days. Lemon balm and lemongrass are the herbs to add to your iced tea when you want a zesty flavor. What about a spicy undertone? Ginger and cinnamon add a burst of flavor and, in the case of cinnamon, a sensation of sweetness as well. Don’t choose between the two; just add both spices to your iced tea. Quick and easy! 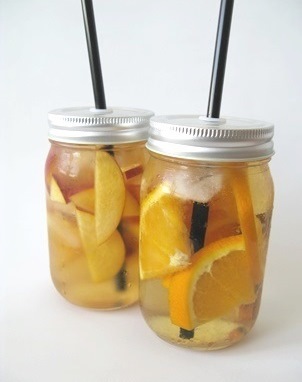 Just squeeze an orange into your jug of iced tea. The zest and sweetness of the fruit will instantly add a new layer of flavor. If you have more time you can squeeze the fruit juice into an ice cube tray and freeze it. 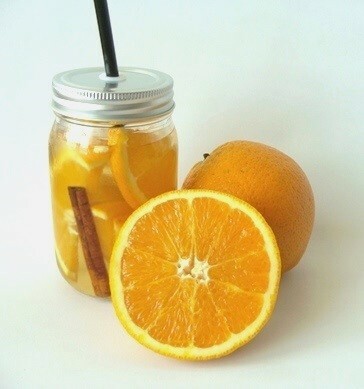 You can even add chopped fruit or herbs into the juice before freezing. 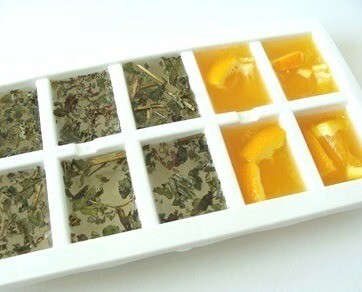 These fun flavored ice cubes will add color and slowly melt away changing and enhancing your iced tea over time. Now put that sugar down and start creating new and flavorful iced tea combinations. Milk thistle tea is the tea to drink to help cleanse the liver, protecting it from the attack of harmful agents and also helping it to recover from disease or a bad night of alcohol consumption. There are many other benefits to drinking this tea, such as preventing heart disease by lowering your cholesterol levels. 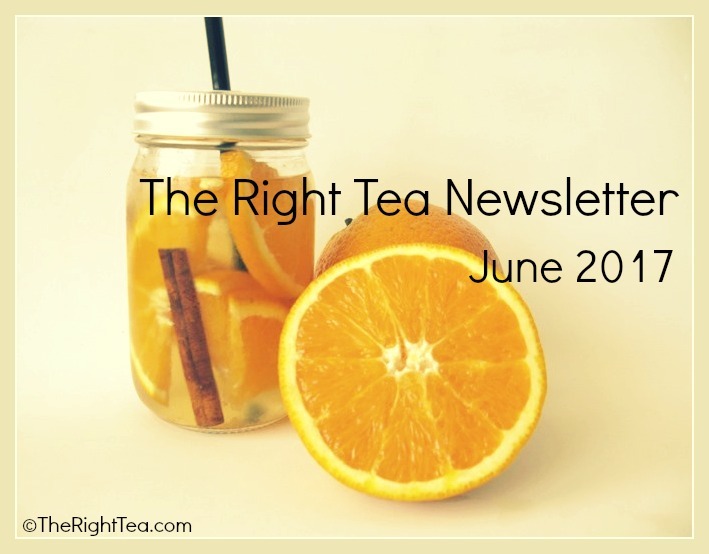 More new herbal teas are coming, so keep on the lookout for the July issue of our newsletter. While you wait, look around our website and learn more about tea and its health benefits.